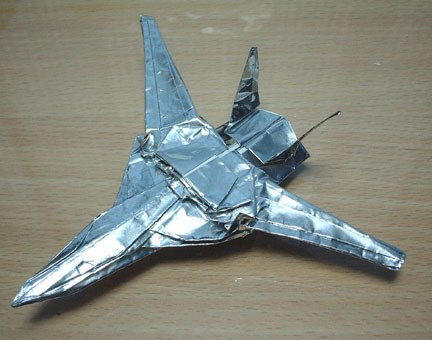 Just want to direct your attention to this Macross origami that actually transforms! It’s in Japanese, but diagrams don’t need no translating, so have at it! What is Macross? It’s an anime. Yes, I am a geek. We’ve already established that. Also, yes, I’m trying to get back into blogging here again. I have lots of paper n stuff to fold and show off. Also, I miss you blog.